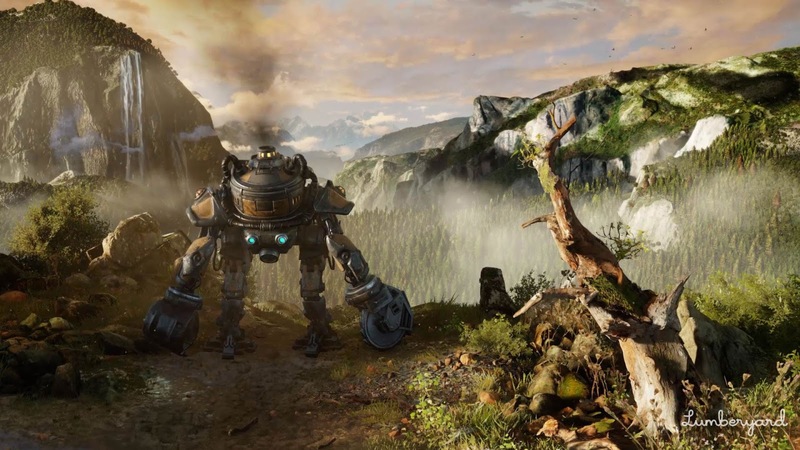 [ #Lumberyard #GDC2018 ]At GDC 2018, Amazon has unveiled the latest beta of its game engine and development environment - Lumberyard 1.13 with support for Nvidia’s PhysX physics system, a range of workflow and performance changes. PhysX Collider – Provides collision response by linking the entity's PhysX Mesh Shape or shape component with its assigned PhysX Rigid Body Physics motion type. PhysX Mesh Shape – Provides the geometry of the collision area. PhysX Rigid Body Physics – Defines the entity as a rigid object and allows you to choose the motion type. A static motion type means that the object is not movable. A dynamic motion type means that the object is movable based on parameters that define how the object interacts with other objects. A Physics Samples project provides sample levels that demonstrate how to use the new physics features. For example, the PhysX Rigid Body sample shows you how to use the following PhysX rigid bodies: boxes, spheres, capsules, convex meshes, and static triangular mesh objects. For more information, see PhysX System in the Amazon Lumberyard User Guide. Navigation Area – Use this component to define a navigable area or volume for the AI system to use. For more information, see Navigation Area in the Amazon Lumberyard User Guide. Navigation Seed – Use this component with the Navigation Area component to specify the areas of the navigation mesh that AI agents can access. For more information, see Navigation Seed in the Amazon Lumberyard User Guide. Cloud gems can use the cross-communication feature to expose their API operations to one another and use each other's backend services. You can also use cloud gem cross-communication to notify multiple gems when an event occurs. For example, Lumberyard's Player Account cloud gem provides a banned player service that the Leaderboard cloud gem can use to limit fraudulent scores. The web service interface is defined in a cloud gem swagger.json file that can be called from an AWS Lambda function. For more information, see Cross-Gem Communication in the Amazon Lumberyard User Guide. Cloud Canvas supports custom resources and AWS services that are supported by AWS CloudFormation. You can add custom resource types and AWS services to a cloud gem's project-template.json file and resource-template.json file. This eliminates the need to hard code non-native resource types and helps to increase security. For more information, see Adding Support for New AWS:: and Custom:: Types in the Amazon Lumberyard User Guide. Lumberyard 1.13 runs on Windows 7 and above. The engine is completely free to use for developing offline and local multiplayer games, including source code access; online games must use Amazon Web Services, charged at Amazon’s standard AWS rates.